We are pleased to announce that we’re opening up beta testing for Photo Editor by Aviary on iOS! For over a year now, we’ve been taking advantage of Android beta testing through Google+ and it’s proven to be an invaluable resource. With the help of over 3,000 beta testers, we’ve been able to identify and squash countless bugs as well as improve and iterate on new features before they’re released. Starting today, we can now do the same on iOS. Beta feedback is critical to Aviary’s development process. Not only does it help us polish up features before we launch, but sometimes it inspires us to build something completely new. Take our Blur tool, for example: Last June, our imaging team wanted to take our Blemish tool to the next level by changing the technology so that it made flaws disappear, instead of just camouflaging them. What they came up with was amazing, and our beta testers loved it. But we also learned that they missed the blurring functionality that the tool previously offered. So, instead of just launching the new Blemish, we added a second, brand new tool named Blur, giving users the best of both worlds. Everyone’s happy! We’ve learned dozens of lessons like this one thanks to our Android beta group and we’re excited to extend the beta program to iOS as well. Start by requesting to become a tester here (be sure to enter the same email address you use for your App Store ID). We’ll get you setup in our system shortly after receiving your info. You’ll be notified via email when a new beta is available. At that time you’ll also receive some instructions for getting the beta installed to your device and how to submit us feedback. So what are you waiting for? Sign up for our iOS beta group today. As a beta tester, your voice will be heard while we’re still in the development process—this will help shape and influence the way our new features evolve. If you use Photo Editor by Aviary on iOS and are interested in becoming a beta tester (and gaining exclusive access to upcoming features! ), simply enter your email here. We're thrilled to announce that today we're bringing effects intensity to Photo Editor by Aviary for Android, v3.4.7. You may recall that last week we released this very same feature in our iOS app, which lets users get the most out of our powerful effects by tweaking them to a specific strength. It's an incredibly simple and easy to use feature that adds a ton of value to our most popular tool. To adjust the intensity of the effect, all you have to do is slide your finger up or down on your photo while you have an effect selected. This will bring up an intensity slider that fills and empties as you slide, indicating the strength of the effect. It's that simple. This update also includes some important bug fixes and other optimizations. Please let us know what you think on Twitter. We hope you love it! Want to get these updates in your inbox? Sign up here! Today we introduced a small, but important feature to Photo Editor by Aviary for iOS, v3.4.1: effects intensity adjustments. We've heard from many of you about how much you love our awesome effects. But we've also heard how sometimes you want the creative freedom to alter the strength of those effects. With today's update, now you can. To adjust the intensity of the effect, all you have to do is tap on an effect once you have it selected. That will bring up a simple intensity slider that you can move up or down to your liking. Click 'Apply' and you're good to go with another beautiful photo. In addition to this feature, we've also fixed some bugs and re-introduced the ability to share and Print to Walgreens from the app's home screen. Just tap and hold on any photo in the grid selector and you'll see a small menu of these options. Have you checked out the update? Hit us up on Twitter to let us know what you think of the new effects intensity feature! Aviary’s new iOS Photo Editor app. A magical way to create and share beautiful photos. We’re thrilled to release one of the biggest updates ever to Aviary’s iOS app today. You can get Photo Editor by Aviary - for free - right now, right here. All-new suite of Selfie tools. We can’t take enough Selfies. But with this new app they’ll look even better than before! With our completely new Blemish tool you can magically remove imperfections from your Selfie with a single tap. Meanwhile, our Blur tool does exactly what it says - giving you the power to blur out lines/wrinkles and subtly soften edges. Our Red Eye Remover has been massively upgraded - and is perfect for post-processing those harshly lit pics. And our classic Teeth Whiten tool can quickly give your pearly whites a pop. Go style that Selfie! Style your selfies with our all-new blemish tool, teeth whiten tool and blur tool. Fabulous Content Packs to get creative. We’ve added a whole new range of fantastic filters, frames and stickers in our Supply Shop. You can add these in combination and take your photos to a whole new level. Pro tip 1: combine the Reportage Filters with the Blossom Stickers to create a high-fashion take on springtime style! Undo/Redo. The more you get experimental and creative with Aviary’s Content Packs, the more you’ll want the freedom to undo and redo an effect before finalizing your edit. In fact that’s our Number One user request… and it’s finally here! Yep, you can now undo or redo any effect by simply swiping from left or right on your photo. You asked for it, we delivered it. Apply an effect, then simply swipe to Undo and start again. Automatically make your photos look awesome. If you want to simplicity to the extreme, we’ve completely overhauled our Enhance tool to include superfast one-tap photo editing for Food, Nightlife, Nature and Portrait pictures. We’ve also kept our classic Hi-Def option to give your photos an instantaneous boost. One tap and done! Apply some one-tap magic with our all new Enhance options. Share to everywhere. Once you’re done editing a photo, Aviary now makes it dead easy to share to Instagram, Twitter and Facebook (you can even now tag your Facebook friends in a picture). Pro Tip 2: You can also share to WhatsApp, WeHeartIt, Tumblr, Line and more if you’ve already got those apps installed on your iPhone, iPod Touch or iPad. Simply tap “More” on the Share Screen - and share photos anywhere you like! Of course, as with every Aviary release, there are a huge number of additional optimizations, improvements and other goodies tucked away in every corner. Meanwhile, Photo Editor by Aviary is available in 17 languages including English, Spanish, Chinese, Portuguese, Japanese, Russian and Bahasa Indonesia. So wherever you are in the world, go explore Aviary’s new iOS Photo Editor app – and let us know what think! Welcome to the family Firefox OS! Over 70 million people around the world use our tools every month on iOS, Android and the Web - and we’re thrilled to work with Mozilla to bring the magic of Photo Editor by Aviary to the Firefox Operating System. What’s more, one of the largest telcos in the world - Telefonica – is a great supporter of Mozilla’s Firefox OS platform, so we are especially excited to be part of an ecosystem that will help meet the tremendous demand we’ve seen from consumers in Europe and Latin America! Looking to upgrade to a Firefox OS device? Telefonica’s latest devices – the new ZTE Open C and ZTE Open II – will launch this year and have Aviary pre-installed, giving Telefonica subscribers something special straight out of the box. From the basic rotate and crop tools all the way to professionally designed filters and magical auto-enhance, Firefox users will find a robust set of editing tools to quickly and easily make their photos beautiful. We’re confident these tools will go above and beyond, but we’ll also be enhancing these tools in the coming months – like adding more content and sharing options – to best tailor our app for this new platform. 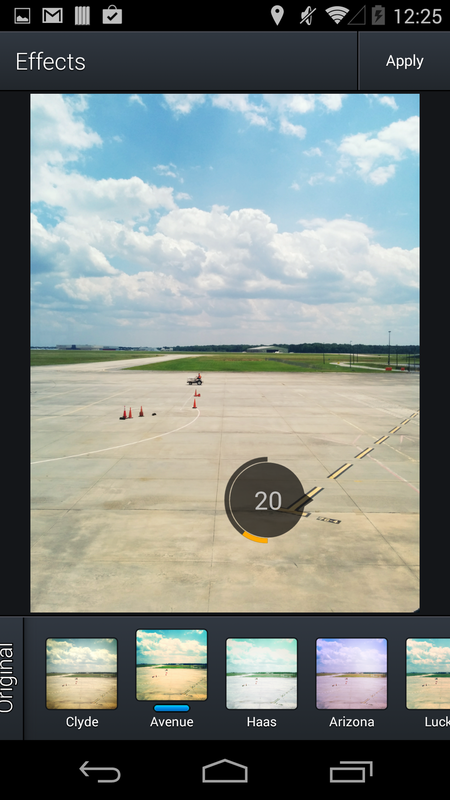 We’re thrilled to bring Photo Editor by Aviary to Firefox OS and you can be sure we are constantly listening to your feedback. So have any comments? Questions? Let us know! Big News from Aviary: 10 Billion Photos Edited! We hit a massive milestone today. People all over the planet have now used Aviary to edit 10 billion photos! At Aviary we strive to inspire people to play with their visual world – by giving them the magic to re-imagine, reinvent, reshape, and share what they see. Whether that happens in our own mobile apps, or in partner apps using Aviary’s SDK, it’s now happened 10 billion times. 70+ million monthly active users. More and more people are using Aviary every single day. Our own-brand app, Photo Editor by Aviary, grew like wildfire this year – and now has over 20 million MAUs. It was also recognized in Apple's and Google's "Best of 2013" lists, as well as in The New York Times’ Best Apps for iOS 7. But the biggest indicator that we’re doing something right is the hundreds of thousands of four and five star user reviews - you’ll find over 500,000 of them in the Google Play store alone! 7,000+ partner apps. New apps and services launch every day that have integrated Aviary’s SDKs – meaning our photo-editing platform is now available across a huge and diverse partner ecosystem. So whether you're creating a cool photo collage in PicStitch, or designing personal greeting cards in Sincerely’s Ink, or messaging friends with photos in Tango, or designing gorgeous websites with Squarespace, Aviary is there to help you effortlessly create hugely impactful images. 74% of the world has Aviary’s SDK. Developers in 143 of the world’s 193 countries have downloaded and integrated Aviary’s SDK. To serve all our global partners and their users, we offer many localized options – including support for over 30 languages. Meanwhile the different Filters, Frames and Stickers we create for people to enhance their images reflect the norms, styles, visual cues and iconography of many different cultures. The photo phenomenon is diverse and global – and we have to be too. As we look forward, what most exciting is the fact that a new visual lingua franca has emerged. Unquestionably, photos have become the communication language of the global mobile generation. We are long past the point when photo editing was just about turning an average picture into a good one. Photo editing is now about enhancing visual communication between billions of people across the planet, in a way that embodies the full richness of emotions, feelings and inspiration. It’s often said that a picture is worth a thousand words. But perhaps it’s more accurate to say that a picture is worth 500 words. Editing that picture with Aviary adds the other 500 – and doubles the impact of the final image. So A BIG THANK YOU to everyone - whether you’re an Aviary user, developer partner, brand partner, or just a friend - your support, feedback and enthusiasm drive us forward every day. Here’s to the next 10 billion edits! Brand New Text Tool - In response to Aviary’s #1 user request for new font support, version 3.2 brings a completely re-imagined Text Tool with support for 11 new fonts, including a special Happy Holidays typeface. Plus, new colors, auto-straighten, and multi-text object support make text more customizable than ever in Photo Editor. Holiday Bundle of Stickers, Frames, and Effects - Just in time for the Holidays! This version includes a bundle of limited edition seasonal content that features three new sticker packs, six delightful frames, and a new filter pack - available at a reduced price and perfect for making Holiday-themed greeting cards right from your iOS device. Upgraded Print to Walgreens Feature - Now that you’ve created gorgeous holiday pictures, print them out to the nearest Walgreens directly from the app! The Print to Walgreens Feature has been completely re-built to support multiple photo selection and an improved workflow, making the selection, checkout, and pick-up process easier than ever. Several important bug fixes including an issue that was causing photos’ EXIF data to be stripped from the photo upon saving. Click here to download the new version from the App Store. Happy Holidays from everyone at Aviary! Introducing Aviary’s First International Edition: Aviary Japan! Today we’re thrilled to announce the launch of our first international edition of Aviary, designed specifically for our good friends in Japan. As of this morning, a completely customized version of Photo Editor by Aviary, a Top 10 app in the US, can be found in Apple’s Japan App Store - and it’s full of totally exclusive content that you won’t find anywhere else. Come and get it! Re-imagining the Aviary experience for a brand new audience has been an adventure and an exciting challenge, and we look forward to iterating further based on feedback from Japan’s digital trendsetters. Take a look at our launch features, or download Aviary for Japan now! 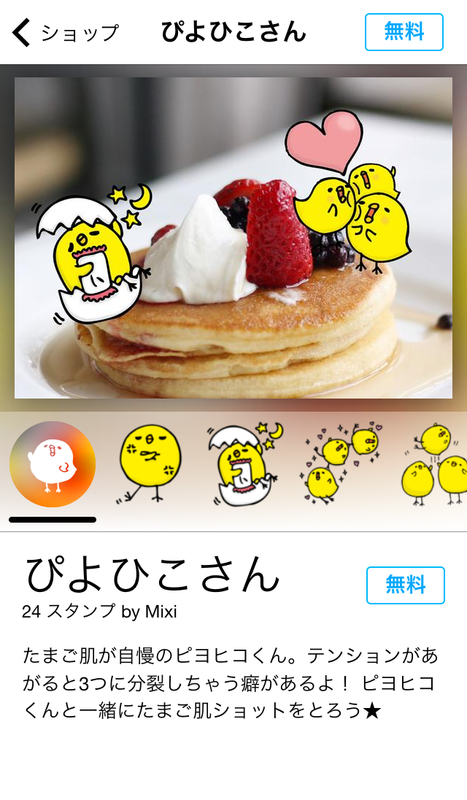 Be on the lookout for stickers, frames and filters that will make editing your pictures more creative and more fun - created exclusively for Aviary Japan! Share your pictures to your favorite social networks like Line, Twitter and more. All text within Photo Editor by Aviary is now fully translated into Japanese language. To all our pals in Japan: We can’t wait to hear what you think of it, and we’re looking forward to making Photo Editor by Aviary an irreplaceable part of your photo editing experience. Download Aviary now! 1) Join the Aviary for Android Beta Testers Google group here (note: make sure you join using the same email you use to access Google Play). 2) Click here, then click Become a Tester to allow beta downloads (note: you'll need to be a member of the Google+ community first before you can complete this step). 3) Download Aviary from the Google Play store to update your app to the latest beta version. Once a beta tester, you'll begin to receive updates automatically as they're released. Simply use Aviary like you normally would and tell us about your experience. You can leave us feedback in the Google+ community by clicking here, then submitting a post using the "Share what's new…" box at the top of the page. As a beta tester, some of the updates you'll receive may seem small, but from a coding perspective they're huge. We're in the process of revamping the back end of the app to improve stability and to set the stage to be able to bring you exciting new features later on. For this reason, your feedback on both functionality and performance is extremely valuable. The more feedback we receive, the better Aviary for Android will be! If you have any questions or comments, feel free as always to email us at support@aviary.com. Otherwise, we hope to see you in the beta community!